Hell’s Canyon National Recreation Area is one of the leading recreational areas in the Pacific Northwest. Swiftwater RV Park is the closest private Idaho campground to Hells Canyon and Pittsburg Landing – a popular private and commercial boat launch spot on the Snake River in the heart of Hells Canyon National Recreation Area. The drive (FS Road 493) takes only 45 minutes from Swiftwater over a well-maintained gravel road that is full of incredible views, vistas and wildlife. Exceptional outdoor recreation in North Central Idaho abound, and in the communities along the Salmon River canyon area between White Bird and Riggins. Swiftwater RV Park is a great campground, with both RV and Tent Camping amenities, not to mention one of the best departure locations for 4-wheeling and motorbike excursions. Besides that, motorcyclists and cyclists are always welcome at Swiftwater RV Park! White Bird is Idaho’s shortest drive to the Hell’s Canyon National Recreational Area. 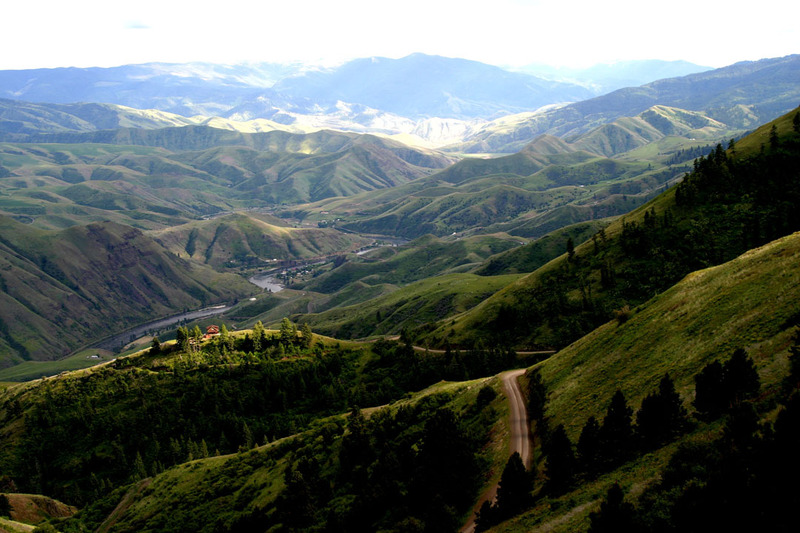 White Bird is one of Idaho’s historical rural communities, big on western hospitality. Across the Salmon River, the Twin River area in the rural lands from the Salmon to the Snake River systems, is now home to many friendly folks. Swiftwater RV Park is a great destination from which to explore, see and experience this true wilderness and rural landscape. Our park is a perfect area for anyone who loves the outdoors and loves breathtaking scenery. Below is a list of things to do and see. Direct rides from our campground to hundreds of miles of scenic trails. No need to haul your rigs to trailheads. 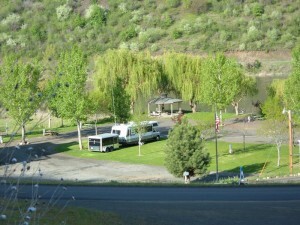 Swiftwater RV Park is a safe and secure private campground. The surrounding canyons, valleys, ridges and rivers offer stunning wilderness views that will quiet any restless heart. The TransAmerica Trail, from the Pacific to the Atlantic lists our Park and area within their national bicycling trips. White Bird Grade hosts a bicycle race annually known as “For the Hill of It” in June. Anglers arrive here for Salmon & Steelhead runs, and Small Mouth Bass, Sturgeon and Trout. When in season, hunters come here for prize Mule & White Tail Deer, Elk, Moose, Mountain Lion, Chukar, Blue Grouse and Quail. Local area outfitters will put you in the saddle by the hour or by the day. Whether you are an experienced horseman or are looking to learn, our guides and our trails will keep you coming back. We have the finest and most exerienced Jet Boat companies in the country. Hells Canyon and its mighty Snake River can only be enjoyed and experienced by boat, and our local jet boat outfitters offer thrilling day trips for people of all ages. Advance reservations are necessary, so let us help plan your trip during your stay here at Swiftwater RV Park in White Bird, Idaho. Perhaps no other section of the world has experienced more gem mineral-forming forces than Idaho. The alluvial and glacial deposits of the lake country; the mineral-rich basalts and the Hell’s Canyon and the Seven Sisters; the ancient lava flows of the Snake River Plain are the hunting grounds for the rock hound. The Salmon and Snake Rivers are two of the most famous wild rivers in the nation. We have rapids for everyone, from Class II to Class V; you will not be disappointed. Minimum half-day to week long trips are available. Let us help you book family-fun whitewater rafting adventures. Our mountains have flora and fauna for the horticulturists, botonists, ornithologists, birders and wildlife gazers. Bring your camera and your loved ones and see what our wilderness has to offer. White Bird Rodeo is held in June on Fathers Day weekend. It opens Friday evening and has a 2nd rodeo on Saturday afternoon. White Bird Days Celebration hosts a Parade on Saturday morning in downtown White Bird, Idaho – only 2 miles from Swiftwater RV Park. For the Hill of It Bike Ride is an annual fund raising event held in early June for our local hospital. Nearly 100 cyclists come to Hammer Creek – only a few miles away – to start out the breathtaking climb up the White Bird Grade and back! Old Time Fiddlers hold their semi-annual big jam sessions and festivities on the last weekend in April at nearby Hoots Cafe.